50,8 x 47 cm - 20 1/16 x 18 1/2 in. Ambroise Vollard, Paris – Alex Reid & Lefevre, Londres - William Burrell, Glasgow – Glasgow Museum, 1944. Glasgow Institute, 1913 - Londres, Tate Gallery, 1924, n° 43 - Bristol, Museum and Art Gallery, 1932, n° 34 – Londres, Tate Gallery, 1934 - Glasgow, Arts Council of Scotland, 1947, n° 25 - Glasgow, Mc Lellan Galleries, 1949, n° 533 - Glasgow, Mc Lellan Galleries, 1951, n° 373 - Edimbourg, National Gallery of Scotland, 1979, n° 121 - Québec, 2003-2004, n° 50, repr. p. 45 - Londres, National Gallery, 2017-2018, n° 17, repr. p. 77. 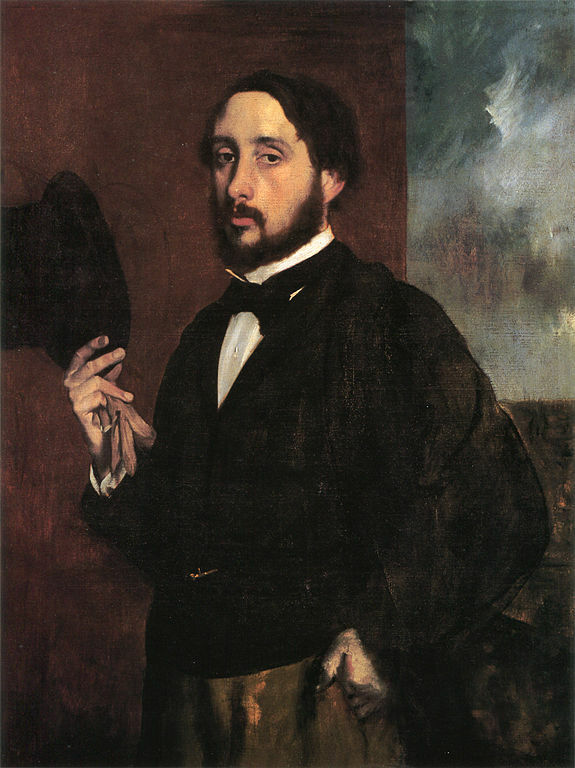 Bernheim-Jeune, Degas, 1918, pl. 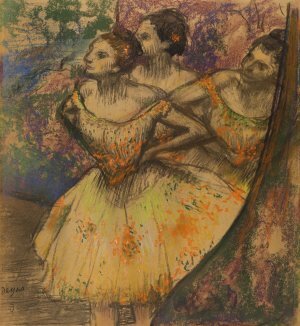 XLVIII - Vollard, Album Degas, 1914, pl. 48 – Meier-Graefe, Degas, 1927, pl. 103 – Lemoisne, 1946-1949, III, n° 1250, repr. p. 729 - Browse, , p. 333, pl. XII - Pickvance, National Gallery of Scotland, Edimbourg, 1979, n° 120 (repr.) - Hamilton, cat. exp. National Gallery, Londres, 2017-2018, n° 17, p. 76.